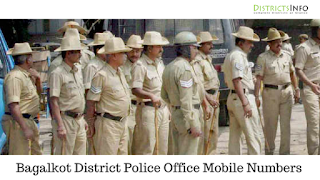 Bagalkot district Police Stations Phone Numbers in Karnataka State: is divided into sub-divisions each headed by the Sub Division Police Officer. The sub-division is further divided into Circle Offices which is headed by an Inspector. A Circle consists of police stations headed by an inspector or sub-inspector. 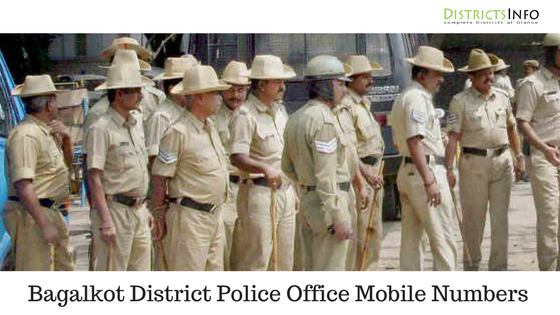 The police department is committed a serving the needs of the citizens by providing them effective and efficient services.Here we are Listed below Bagalkot District Police Mobile Phone Numbers.